San José, Costa Rica –The global non-profit organisation, Global Fishing Watch (GFW) and PACÍFICO, a coordination platform comprised of four environmental funds in Central and Latin America, have entered into a formal collaboration with the objective to support Costa Rica, Colombia, Ecuador and Panama in their efforts to advance transparency and monitoring of fishing activity. 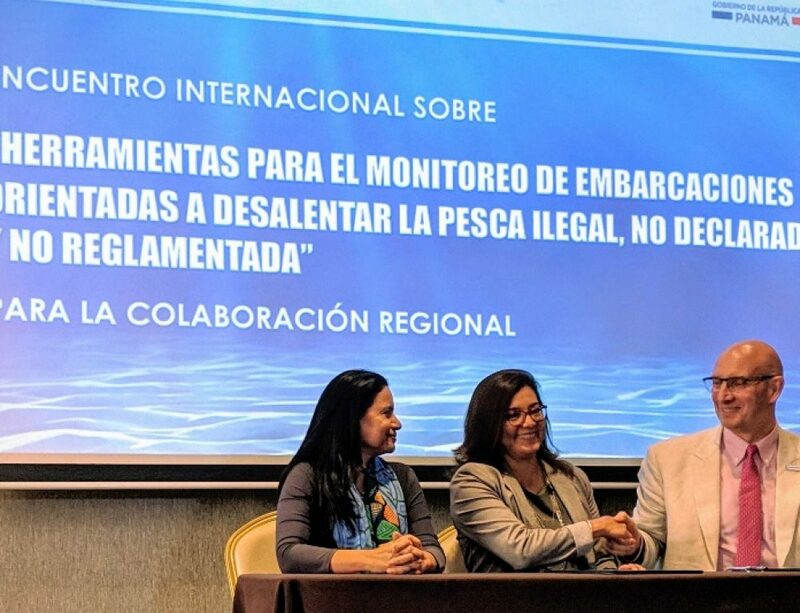 Through the Memorandum of Understanding (MoU), signed on October 11th, the partners recognise their interest to collaborate with Costa Rica, Colombia, Ecuador and Panama to develop a joint strategy to improve transparency and fisheries control management at the regional level. GFW and PACÍFICO’s goal is to support the countries’ work to strengthen fisheries surveillance and the use of technology – building their capacity to use GFW data. In May, Costa Rica’s Ministry of Public Security and Ministry of Environment and Energy signed a letter of intent with the goal of making the country’s Vessel Monitoring System (VMS) data public through the GFW map. The decision follows Peru’s commitment in June 2017 to publish its VMS data on the GFW map. Further to the MoU with PACÍFICO, GFW is engaging with Peru’s Ministry of Production’s vessel surveillance division, who is also responsible for coordinating the Latin-American Network on illegal, unreported and unregulated (IUU) fishing and has been leading the fishing transparency cause in the region. Peru is expected to release regular vessel tracking data into the GFW platform soon. GFW and PACÍFICO will undertake further outreach with government agencies to encourage them to share vessel tracking data and publish it on GFW’s map. 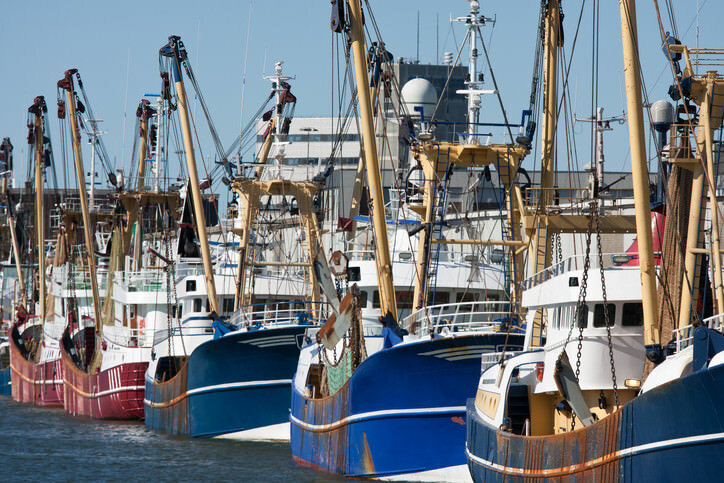 Using both VMS and other tracking data, the partners also intend to map fishing effort and fishing patterns within the Exclusive Economic Zones of Colombia, Costa Rica, Ecuador, Panama and Peru and provide relevant authorities with analysis of vessel behaviour, including suspicious and illegal fishing activity within their waters. “The agreement with Global Fishing Watch will strengthen the capacities of our countries to guarantee an effective sustainable management and conservation of fisheries for the benefit of fishermen, coastal communities and nature, enhance surveillance of our marine territories through high-end technology, which will be a stepping stone for transparency efforts in the region,” explained Zdenka Piskulich of PACÍFICO. Covering nearly 2 million square kilometres (770,000 square miles), the Central Eastern Tropical Pacific comprises the waters, coasts and islands off the shores of Costa Rica, Panama, Colombia and Ecuador. These productive waters and their diverse marine habitats support valuable coastal and open-sea fisheries, important to food security for coastal communities’ and national economies. The new cooperation between GFW and PACÍFICO is made possible thanks to the generous support of the international funders’ collaborative, Oceans 5 and the Helmsley Charitable Trust.